Truffle Shuffle is a website that I used to love browsing on all the time for all the retro and quirky clothing and accessories that they sell. It’s kind of like reliving your childhood because it sparks your memory about TV shows and things that you used to watch and love. I haven’t been on there for a while but I recently went on and rediscovered my love for the majority of the website. So I put together a little wish list of a select few things I would love to add to my basket (if I had the money!). My absolute favourite pick is the vintage toys jumper, I mean its got Tamagotchis and proper Polly Pockets on it! 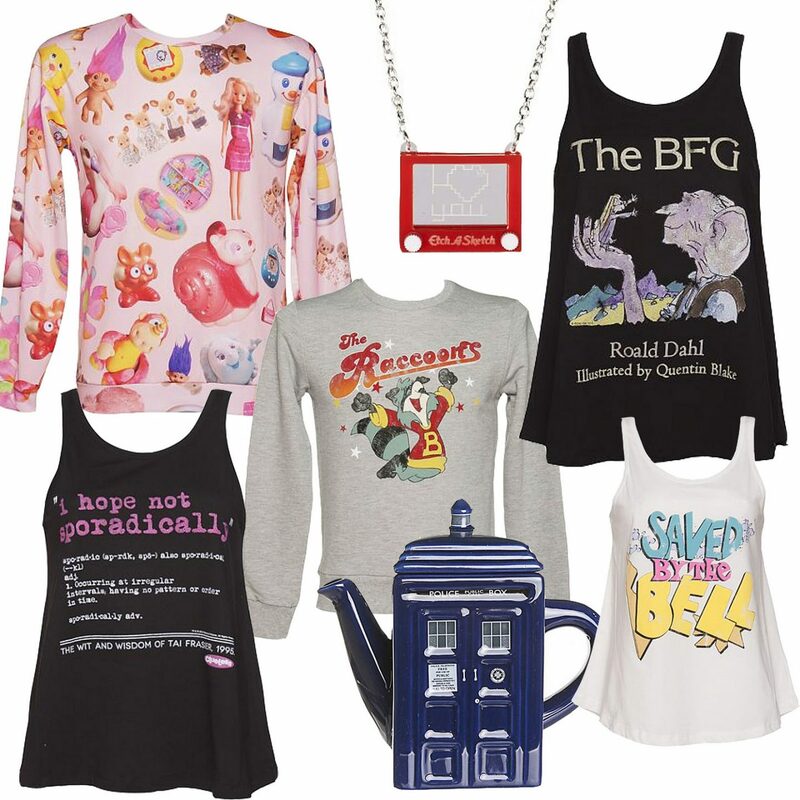 And a Doctor Who Tardis teapot? Everyone needs one of those! Do you like anything on the Truffle Shuffle website?